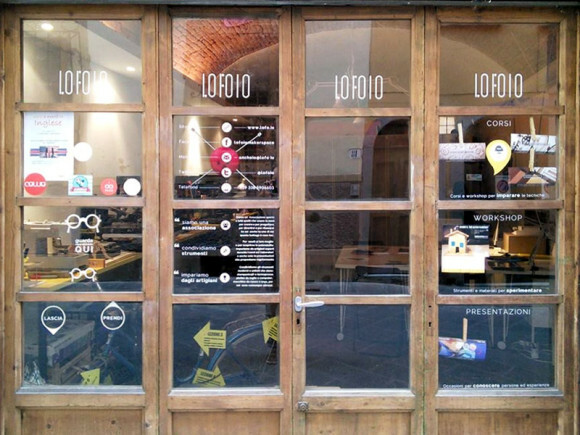 Lofoio (loosely translated from Florentine-Italian, "I'll make that myself") is officially defined as a "tinkering lab". This gives an idea of the Florentine project's physical side, but not of its unique sharing and collaboration spirit. We talked about it with Mattia Sullini, Francesca Lupo, Lucio Ferella and Yasemin Yalcinkaya, the four "tinkerers" (as they define themselves) behind Lofoio. Mattia, what's the story behind Lofoio and which are its goals? We use to say that you have to "think with your hands, head and heart". This means that a project must be not only imagined and designed, but also tested and loved, to be really significant. Makers know that and for them it's a guideline: "hands on". Even when we talk about sharing and collaboration we sometimes risk to be just theory. 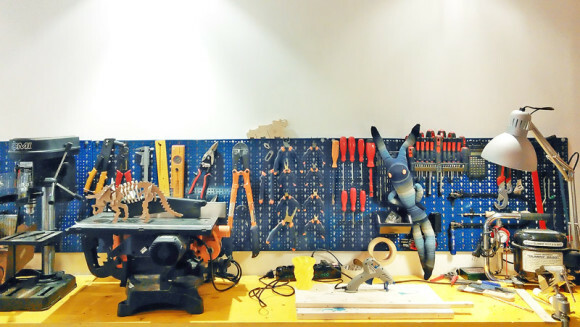 We decided to try and see how all these nice things can work in practice, with a real project based on our personal experiences in design and managing coworking spaces and FabLabs, with new forms of craftsmanship and cooperation. The result is a community of craftsmen, creatives and tinkerers who pack an open shop where we share both traditional and innovative tools, for personal and collaborative projects. (...) To get in touch with the most interesting and stimulating experiences in the creative craftsmanship field, locally and in the whole country, and - very important - to give time and quality to our passions and interests. We want to "make our hands learn" holding some tools again and understanding together how to use them, letting everyone decide what to do: a job, an hobby, a chance to grow. Francesca: collaboration, sharing, networking... How all this become part of Lofoio's daily life? It's our district's spirit: roll up your sleeves, support each other, welcome strangers, be proud of your own roots. There are no contradictions, it's an unique mix. Local craftsmen show up to see if we are competitors and then to understand tools they don't use. Finally, to suggest activities they always imagined but unfeasible in their shops. We also have people who love DIY, who always dreamed a place full of tools and with no pressure for results to get. We call them "tinkerers". "New craftsmen", instead, usually have a more passionate attitude with a desire of contamination. They get the hybrid, fluid nature of our space and realize immediately its potential: here you can make your project real, protect your idea until it's mature, show your prototype to both bystanders and experts. Here, you are a node of a spontaneous network of skills: a "light" and flexible network based on trust and respect. You're a node of many networks, if you want: Arnold's network, strictly related to our district, which gives life to cross projects to meet other people; Co-Hive network, which is a national network to spread ideas, optimize research efforts and show projects and prototypes from distant shops. All these activities are self-sustainable: the protagonists manage their whole project, if they want, or delegate parts of it. Lucio, what can a Maker find at Lofoio? To make it short, let's say what he/she can't find here: big digital manufacturing machines like laser scanners and milling machines. But he/she finds all the tools he/she would like to have: a little wood lathe, a 3D printer, a vinyl cutting plotter, a sewing machine and so on. Makers' adventures often start with simple tools in a little shop and we are exactly a little shop. But a shared one. When we need bigger tools, we leverage a network of services we turn specific requests to. 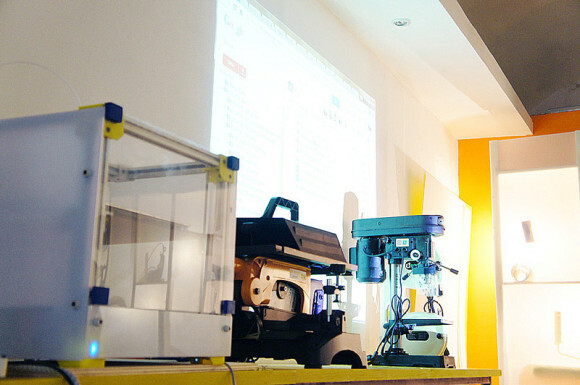 We also actively support FabLab Firenze, with which we organize common projects such as a course on 3D printed objects finishing. 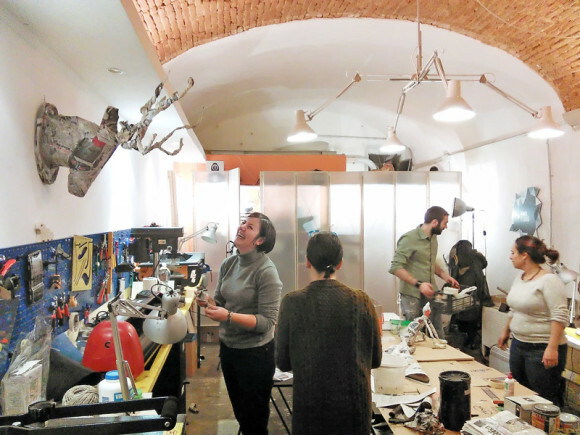 FabLab Firenze is a meeting and collaboration place for people and local projects, each one with its peculiarity: ours is to connect with the traditional craftsmanship world. If there's something special a Maker can find in our shop, it's a natural affinity with more "classical" craftsmen, creatives and hobbyists, with whom we'd like they develop collaborations and common projects. We'd like welders and electronic components to start being a part of craftsmen's toolbox and, on the other hand, traditional experiences of craftsmanship and DIY to mix with Makers' innovative knowledge. We strongly believe that, especially here in Italy, it's very important for these two paths to become one. Yasemin: which courses and activities got the biggest success? What are you working on now? We've organized so many things that's hard to say. For sure our courses on knitting and sewing: they were a success also because participants formed a little solid group, like an informal meeting of friends, with tea, biscuits and so on. Two workshops on papier-mache went also very well. And modular courses too, such as the bicycle maintenance one, or more fun and informal courses like creating mosaics with broken plates or carving Halloween pumpkins. And our workshop on assembling the Fa)(a 3D printer, or a crafting workshop we organized with Pirati&Sirene and Co-Hive at Pisa Internet Festival. Now we're going to launch a workshop on creating a display case (and photographic set) for your project, another one on communication and a third on creating an interactive stuffed toy. Then we'll have a furniture decoration course with traditional techniques and materials, another one on special effects for movies (silicone masks an the like), the first "pro" courses with expert craftsmen... Many things, we have fun and hope we're making who takes part in our activities have fun too. In the end, if we aren't able to communicate our passion for manual activities, what are we here for?